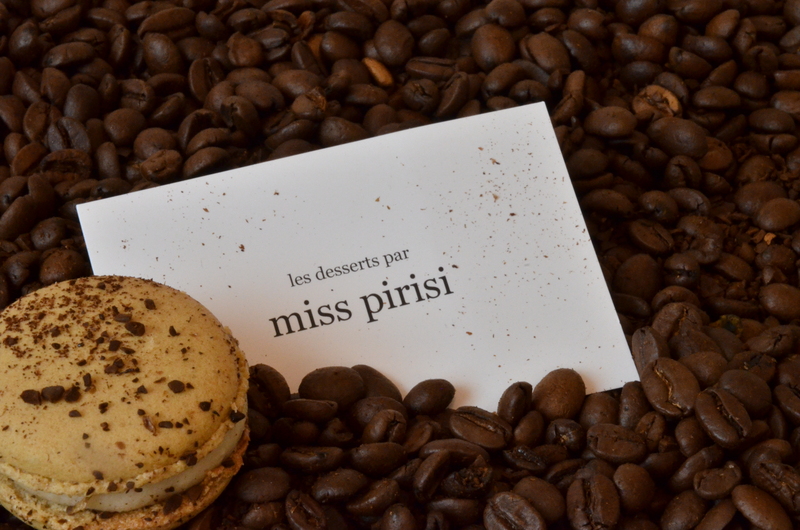 Pastry schools in France, there are others. There are other schools apart from Ferrandi that offer professional pastry courses taught in English geared towards internationals. I say this in case you don’t get into Ferrandi, it’s not unlucky, in fact, it can be an opportunity to explore another path towards your career in pastry. Read well the websites of each school, some offer short courses as well as the Diploma course. Your chefs in any of these schools overall will be excellent . 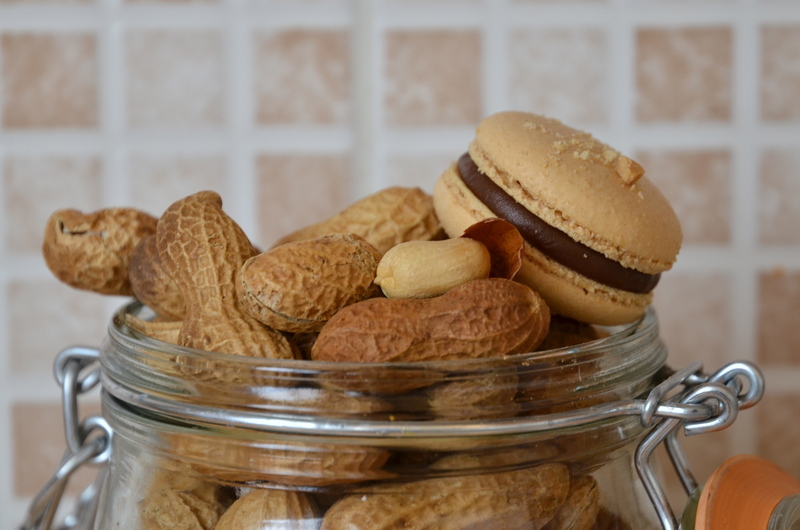 The world of patisserie in France is a small one. 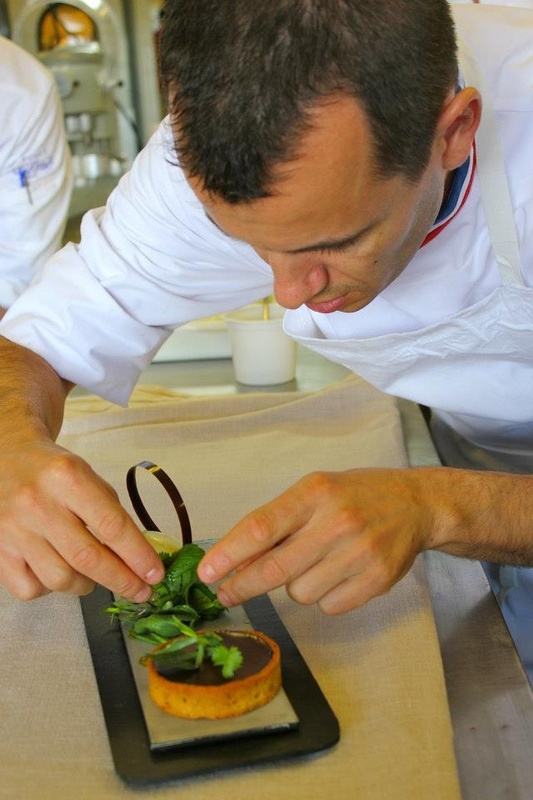 For example, the chef who is teaching at ENSP would know the chefs at Ferrandi, Le Cordon Bleu &/or Ecole Bellouet because at one stage in their careers it’s more than likely they would have worked together somewhere like at Lenotre, Dalloyau, Ritz, Fauchon, etc. Meaning their methods are similar if not the same. I guess what you should look at in terms of a course program is the size of the class (how many students per) and how many hours of practical training (in lab experience) you get. They are just my tips. 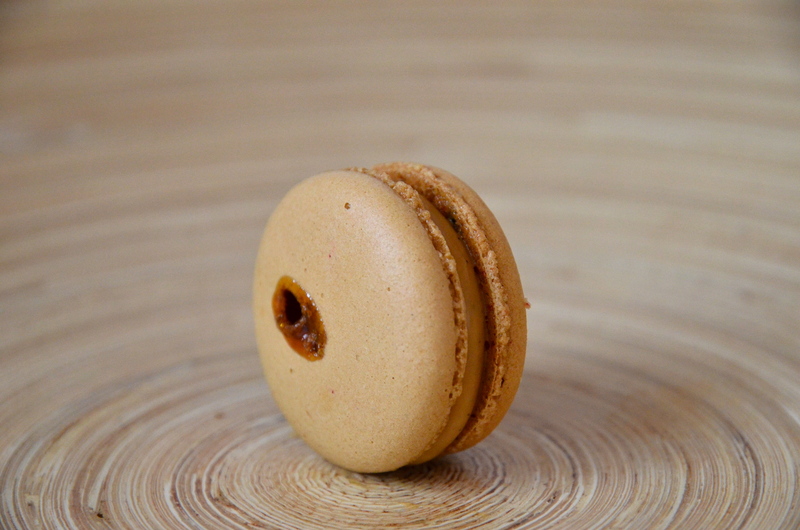 Because finally when you are out there doing your internship after the program you will be working with students (comrades) who are from other pastry schools, then you will see your level is pretty much equivalent. If you find yourself lacking in knowledge and skill when comparing yourself to your comrades it may be because they’ve had previous training before doing a french program (and sometimes they just don’t say so), it does not necessarily reflect the program or the school. Well, perhaps I’ve said something you already know, if not then I’m glad I could be of help. Good luck! And what’s meant to be will be! 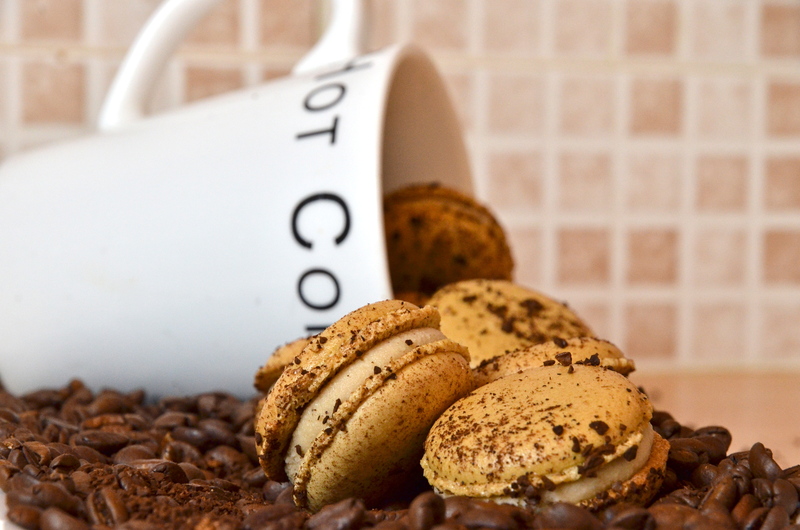 Coffee macarons: Cafe, (2 photos) : “Cafe Sydney” because of it’s creamy coffee saveur and I’m a Sydney gal (miss those cafe lates and cuppocinos Sunday mornings along the esplanade at Bondi Beach). 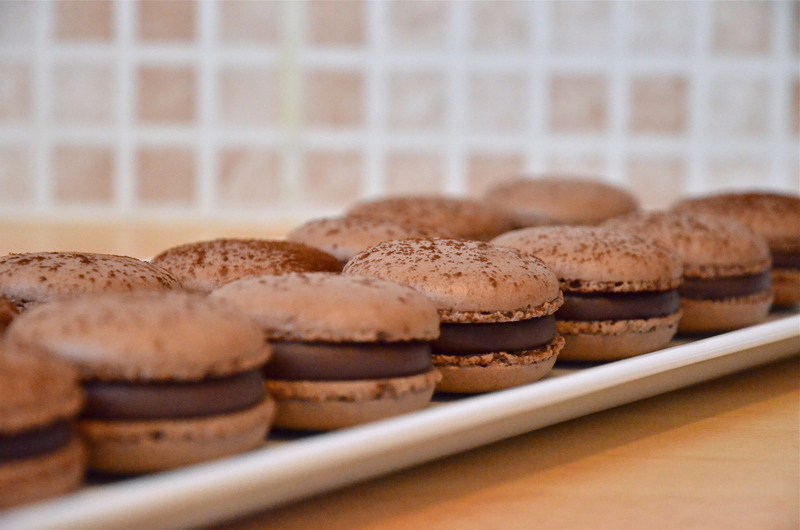 Chocolate macarons: Chocolat, (1 photo) : “Intense chocolate” a chocolate ganache to die for, totally indulgent. 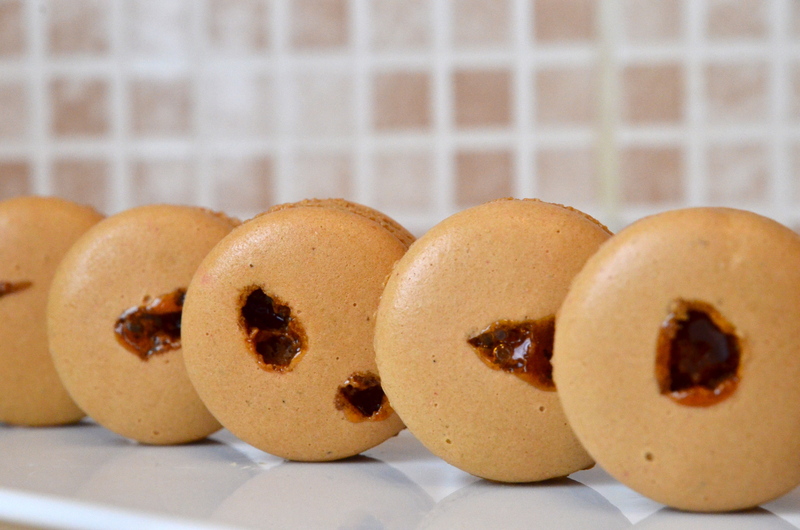 Vanilla macarons: Vanille, (1 photo) : “Mad Pod Vanille” is a traditional Creme au Beurre recipe with the grains of Madagascar vanilla pods. 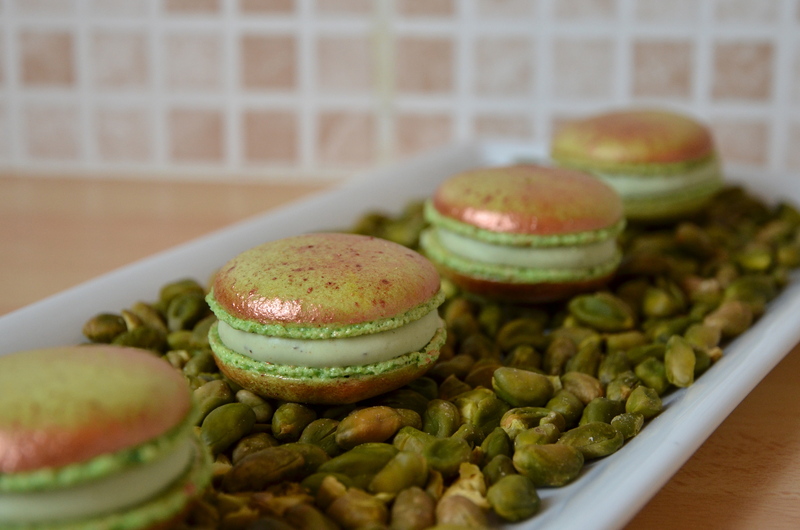 Pistachio macarons: Pistache, (1 photo) : the earthy reddish/green shell representative of the raw pistache, pistache cru. 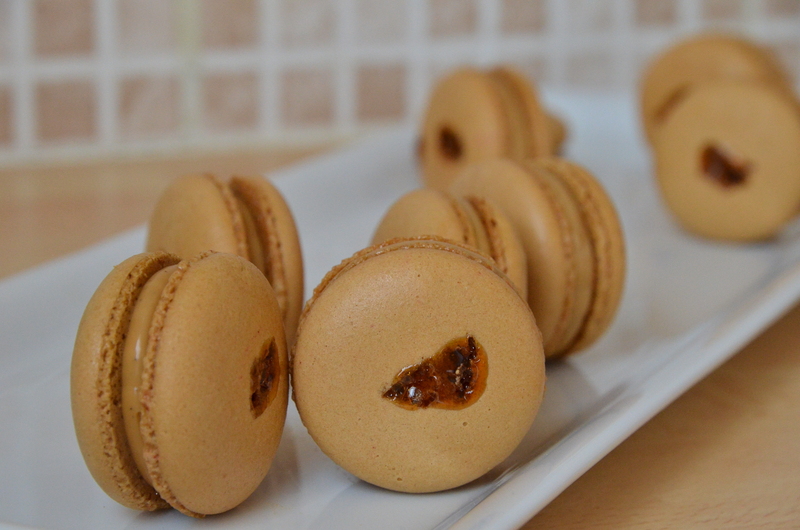 Caramel Toffee macarons: (2 photos) : “Gooey toffee caramel”. Each have their own personality, can you tell? 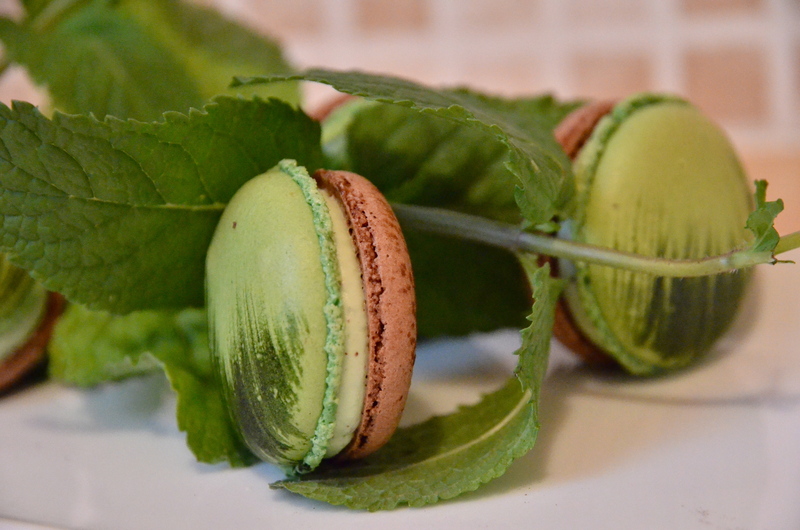 More flavours saveurs coming soon. 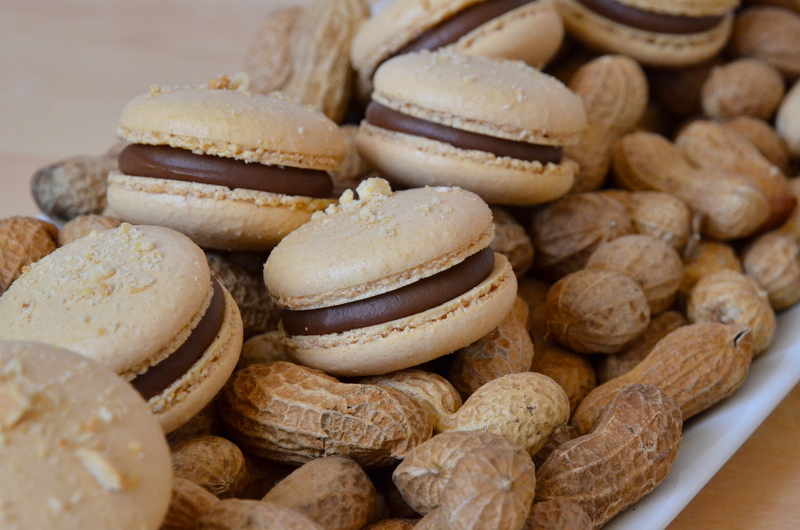 Peanut butter macarons: beurre de cacahuète, (2 photos) : “Skippy” is peanut butter made to ganache with milk chocolate and is totally for kids and grownups! 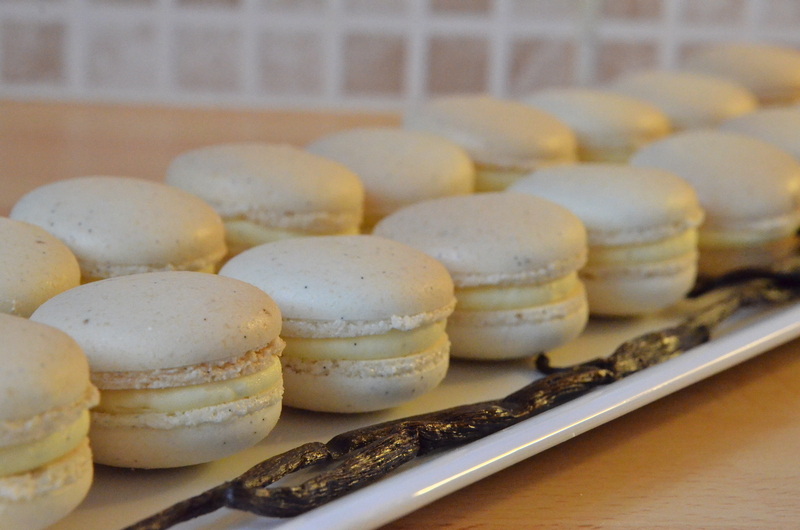 Lemon macarons : Citron jaune, (1 photo)”Citron ZING!”, Citron jaune cremeux, a lemon cream that has a balance of sweetness, freshness and zing! 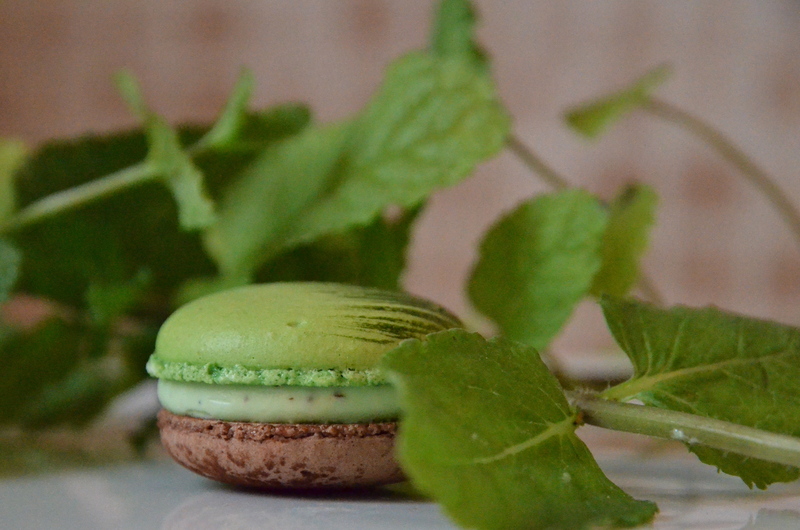 Mint macarons: ganache Menthe-Chocolat, the After Dinner Macaron. 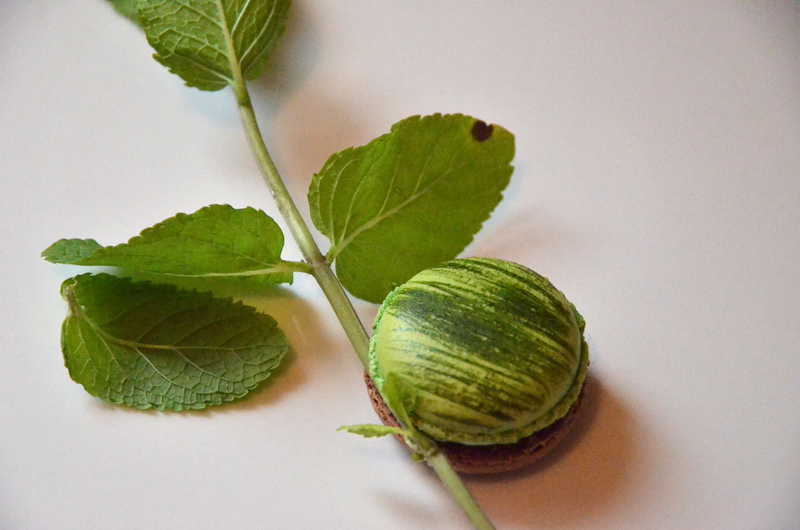 A mint cream with shrapnel of dark chocolate throughout. Get 27, a French green liqueur lightly colours but doesn’t perfume enough so I’ve added a few drops of mint essence, the french call it an “exhausteur de gout”.